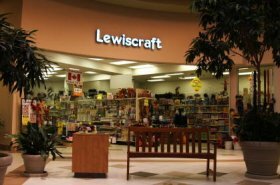 It is a dark day for knitters and other crafters north of the 49th -- so much so that I am taking a break from my beat as Knitty's testicular raconteur to share and mourn the news: Canadian craft store Lewiscraft has all but given up the ghost. After several years of struggling against mounting debt, the chain is selling off what's left of its stock at hugely slashed prices, closing its doors and shutting down its website -- probably for good. According to a recent Canadian Press story, the retailer's origins date back to 1913, when Lewiscraft Inc. was founded in Toronto to sell supplies needed to make leather accessories. An expansion in the 1970s pushed the retailer into craft goods. In 1996, Lewiscraft Inc. was bought out of receivership by Lewiscraft Corp., a company created for that transaction by the retailer's current sole shareholder, Lance Cove Investments Inc. Skip ahead 10 years -- Lewiscraft Corp. filed for bankruptcy protection at the beginning of 2006, and closed a number of stores before their fiscal year ended in April. Unfortunately, it wasn't enough to stem the mounting losses. I have many fond memories of Lewiscraft. 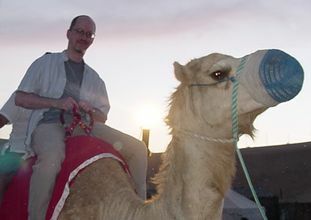 (That made a bunch of you spray your coffee all over your keyboards, didn't it?) While it was undeniably a vortex of fugliness at every major holiday, with the most violent visual offenses reserved for Christmas and Halloween, you could find decent yarn and other basic craft supplies at decent prices if you did a little digging. Because the stores were located in major shopping centres (sometimes providing the only crafts presence in a given city's downtown area), it was the perfect place to duck in on a lunch hour to pick up an emergency crochet hook or some fabric glue. And let me tell you, some of those clerks had worked in those stores for a hundred years, and really knew their stuff. 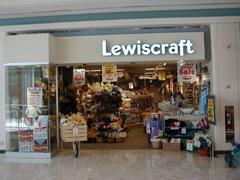 To me, a large part of the problem is that Lewiscraft never appeared to make any great effort to change with the times. The resurgence of handicrafts over the last decade seemed to catch it completely by surprise, and few adjustments were made within the stores to reflect the tastes and interests of a new generation of crafters. 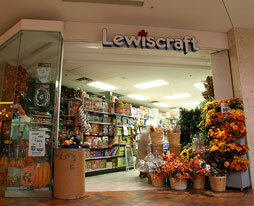 Shopping at Lewiscraft was always a trip back to 1978 -- except online, where it was a trip back to 1996. Sometimes this was cool in a campy sort of way, but often it was frustrating and disheartening. If you could satisfy yourself with Patons and Bernat yarns, and Lily dishcloth cotton, Lewiscraft could be a great emergency stop for a stingy knitter -- but despite knitting's return to prominence, the yarn section never grew in size or range, and was always hemmed in on all sides by a jungle of styrofoam blocks and balls, garish plastic flowers, fantasy feathers, glittery "liquid embroidery" pens and paint-your-own-stained-glass kits. Unsurprisingly, many younger/newer knitters avoided Lewiscraft in favour of higher-end (and higher quality) yarn boutiques, and suburban knitters found similar or better yarn at Wal-mart or Zellers [kind of like kmart]. And, as Lewiscraft never did fully enter the world of the internet in the way that other craft retailers did, online competition -- both domestic and international -- can only have made matters worse. To many, it was the last bastion of the tacky and taste-challenged. 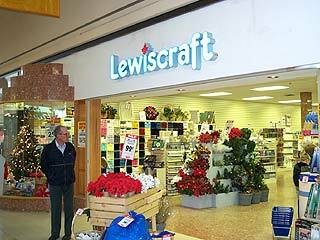 Still, it's sad that Lewiscraft was unable to carve out a distinct and contemporary identity for itself at a time when the interest in handicrafts and do-it-yourself projects was soaring. And it's possible that no one would have known what to do with a hot-fresh-hip-young Lewiscraft -- the brand might not have been able to withstand such a radical change. I will miss you, fusty old Lewiscraft -- but I hold out the hope that something more innovative and (ironically) creative will eventually rise in your place. Until then, good night and farewell. Canadian crafters everywhere hold their glue guns high to salute you. Thanks to Lewiscraft, David (left) spent his youth festooned in beaded macramé belts and vests, bell-bottomed blue jeans "embroidered" in glitter paint, murky tie-dyed t-shirts and denim jackets encrusted with patches and studs. Let's not even talk about what his bedroom looked like. David's obligatory knitblog can be found here.